This heavy-duty shade protects the seated person from the weather and sun and easily folds back out of the way. The shade is lightweight and has side protection. The shade can be customised to individual needs at an additional cost. The shade can easily be removed from the wheelchair or scooter. Installation of fittings to wheelchair or scooter is not included in pricing but Novitatech can do this for an additional cost. Contact Novitatech for further information and pricing. 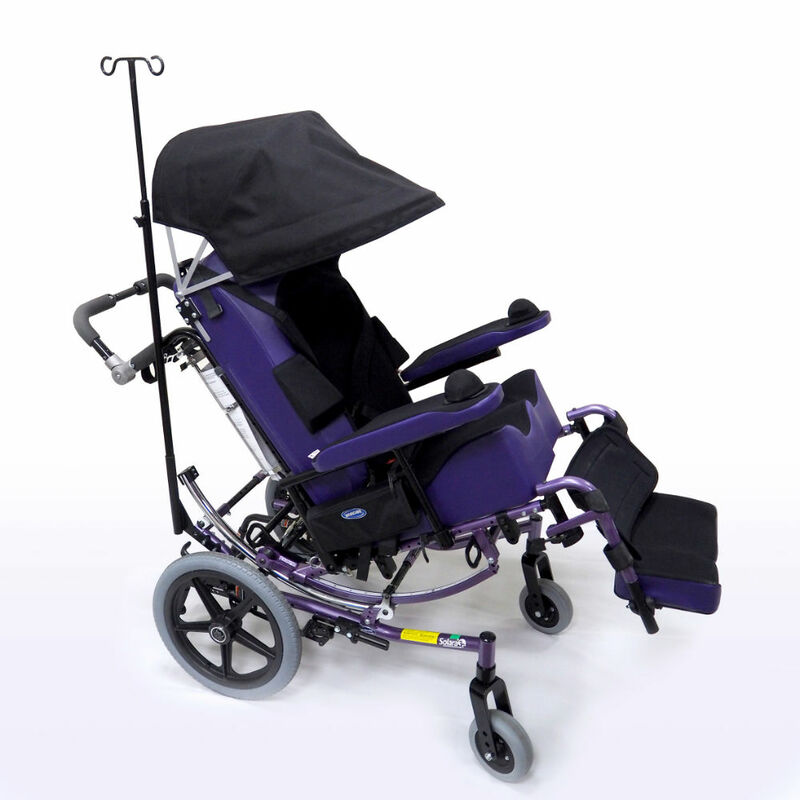 Make and model of the wheelchair or scooter must be provided to Novitatech before shipping occurs. Novitatech also offers a Shade repair and fitting service. 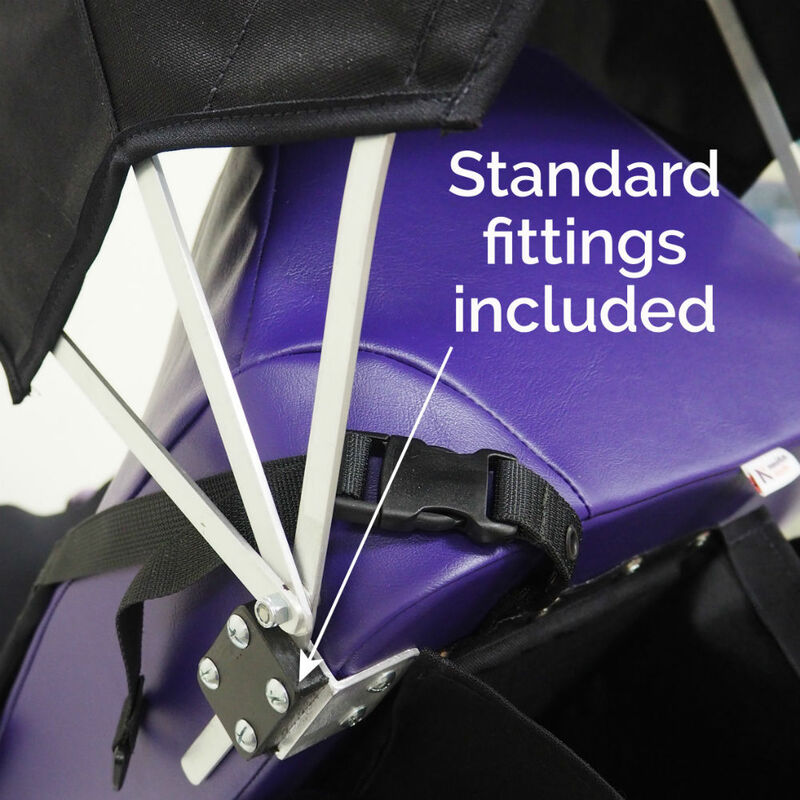 Standard fittings are included. Shade requires the use of tools to fit to a wheelchair. Make and model of the wheelchair or scooter are to be provided to Novitatech. Custom shades and fittings at additional cost and quoted separately.